In law school, students take classes focused upon specific areas of the law, examining topics separately in order to grasp each legal concept. However, in the actual practice of civil litigation, legal issues overlap and a single incident can involve many different areas of law. Our Sacramento injury law firm understands this reality and Attorney Greg Brod’s experience representing victims in a range of civil matters ensures he can help in the very real world where clients need legal counsel capable of seeing the wide range of issues implicated in a single case. The Sacramento Bee is following a tragic incident that left two dead and four ill at a senior living facility in the Sacramento area. The Gold Age Villa is a small assisted living facility located in Loomis and licensed for up to six residents at a time. Among the qualities touted on its website is the attention to special dietary needs and the preparation of homemade meals, an element that can attract people who dislike the institutional feel of the food services at other, typically much larger, senior care facilities. The facility is owned by Raisa Oselsky who has also run the home for more than five years. Last Friday, a caregiver at the home made a tragic error and prepared a homemade soup using wild mushrooms. Unfortunately, the mushrooms were toxic and the meal led to the death of eighty-six year old Barbara Lopes and seventy-three year old Teresa Olesniewicz. Four others, including the caregiver, also fell ill after consuming the soup. Oslesky did not answer calls about the incident. The Placer County Sheriff’s Office ruled the deaths accidental. Expert Casey Jonquil, who owns Alpine Foragers in Oregon and certifies up to 8,000 pounds of wild mushrooms daily, noted that amateurs take a significant risk when they harvest their own wild mushrooms. Health concerns lead the California Department of Public Health to periodically issue warnings to the public about consuming wild mushrooms. Currently, the sought after wild chanterelle mushrooms are in season in Northern California. 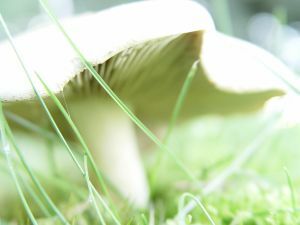 However, poisonous varieties including the North American amanitas, also referred to as the “death cap” or “death angel” species, are also common in our area and can look similar to certain edible varieties. More than 1,700 cases of illnesses due to eating mushrooms were reported in California during 2009 and 200, including ten serious poisonings and two deaths. Severe cases of mushroom poisoning can lead to renal and liver failure. Although the poisoning at the Gold Age Villa appears to have been accidental, incidents of this case can give rise to civil lawsuits on behalf of those sickened or killed by the tainted food. While we cannot give counsel on this exact situation without further details (and can never give specific legal advice without being engaged as legal counsel for a party), circumstances of this nature could involve a range of civil law issues. We’ve often written about food safety issues on this blog and the law holds individuals and institutions accountable when negligent food handling leads to illness or death. Depending on the case, a civil suit for food-related illness can involve sellers, preparers, and others in the food service chain. Likewise, a case like that in Loomis could involve elder law issues. Our firm has specific experience in senior care law, an area that can extend to harm that is accidental and the result of negligence in addition to cases of outright malicious abuse. If a case involved a significant number of facility residents sickened in a food related incident, it could also trigger a class action if the plaintiffs and the court deem a group lawsuit more effective than individual claims. Class actions are often useful where a single event results in harm to a number of individuals, such as in a mass poisoning. Attorney Brod is dedicated to fighting for victims in Northern California. His legal experience allows him to work with victims to consider all the different legal issues that can arise from a single incident. If you or a loved one has suffered an injury due to someone else’s negligence or wrongdoing, we can help. Please call our Sacramento victim’s law firm for a free consultation.